Mrs Sadia Nadeem wife of Mr Nadeem Malik was born on April 1, 1967 in Lahore. She obtained the degree of M.A (Political Science) in 1991 from Government College, Lahore. 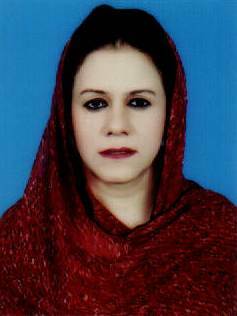 A house wife, who has retunred second time as Member, Provincial Assembly of the Punjab in general elections 2018 against one of the seats reserved for women. She has travelled to Turkey, UK and Saudi Arabia.